After having returned to the concrete jungle aka New York City from a three month long backpacking trip into the South American jungles, mountains, and beaches, I started itching within a few months to leave the city and breath easily once again. The invitation from the Umbria Film Festival in Italy for a screening of Peace After Marriage, the film my boyfriend co-directed couldn’t arrive at a better time. We packed and left for our trip to the Amalfi Coast without much preparation. 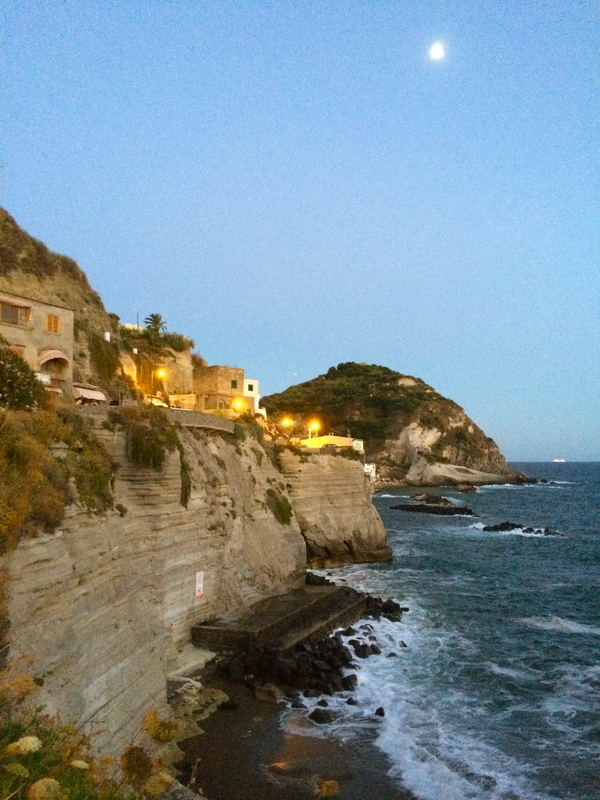 Our nine day long trip included Milan, Sorrento, Capri, Ischia, Rome and Montone in Umbria (and a short pizza stop in Napoli which is a hub to take trains or ferries to the towns on the coast). We didn’t stress about our accommodation and chose the hotels we’d stay in a night or a few hours before arriving to our destination by browsing the Hotels.com app on our phones. 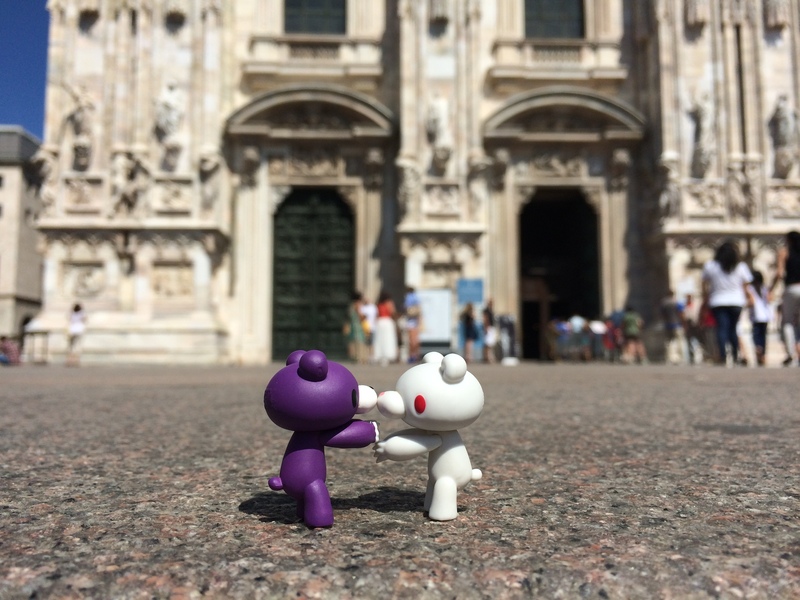 Our first stop was Milan, which we couldn’t avoid visiting on a sizzling HOT July day since our plane was landing there. The city was beautiful with narrow/historic streets on one side and large shopping avenues with major chain stores on the other. But we were trying to avoid the crowds and buildings in the boiling hot weather so on our first day, we ended up having a long, wine filled lunch and managed to quickly browse Duomo di Milano. We stayed at Hotel Paradiso near the main train station for $60/night including breakfast. The airport shuttle easily dropped us off at the train central and we reached the hotel after a short 10 minute walk. It was a clean room with just the basics, nothing fancy. Duomo di Milano, one of the largest cathedrals in the world, which took over 600 years to complete. 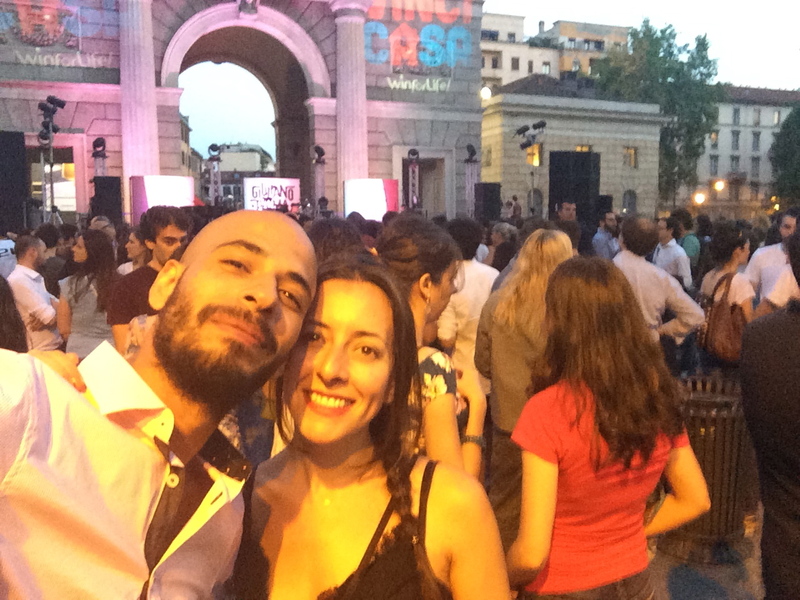 In the evening, we found an outdoor concert, which was recommended by our receptionist at the hotel. The music was too rock-ish for my taste and it was jam packed. We opted to try the special wines of the region at a nearby restaurant instead of standing in the crowd. We ended our first and last night pretty early in order to be able wake up early and head to the dreamy Amalfi coast as quickly as possible the next morning! In Italy, the train system works very efficiently and it’s the most efficient way to travel between cities. Italiarail and some other private companies offer different fares with different trip durations depending on your budget. We took the fast train that cut the trip duration to 5.5 hours (versus the regular train that took 10 hrs) and paid 150 euros for One-Way tickets. Rome2Rio is a very useful site that helped us during this trip to chose among different types of transportation alternatives. 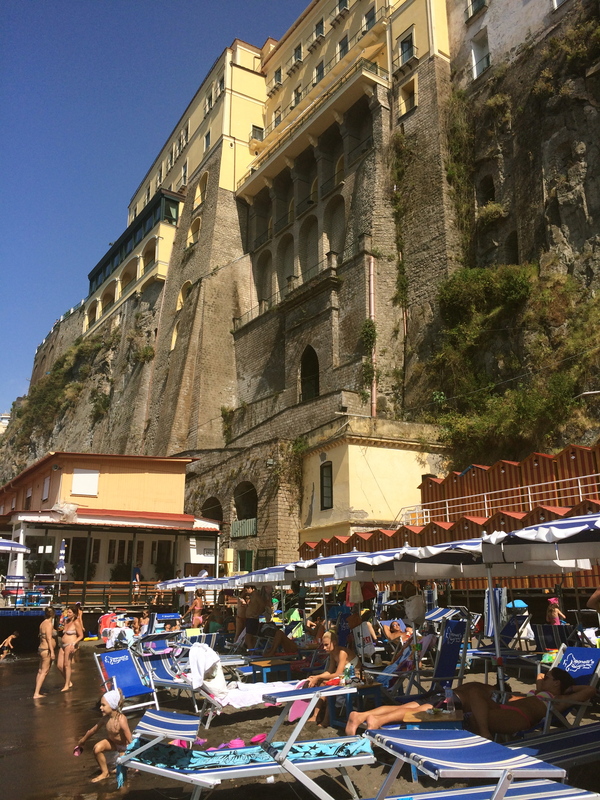 Sorrento is a town in Campania, southern Italy, with some 16,500 inhabitants. It is a popular tourist destination which can be reached easily from Naples and Pompeii. The infamous Amalfi Drive (connecting Sorrento and Amalfi) is a narrow road that stretches along the high cliffs above the Tyrrhenian Sea. I fell in love with this town and its narrow cobble stone streets, lively cafes and restaurants, lemon orchards, cliffs and beaches. View from our first dinner on the Amalfi Coast. The beach closest to the town center where you reach by going thousands of steps down. We negotiated a small fee for the chairs+ umbrella and relaxed the whole day in the warm and calm waters of the coast. Lemon orchard in the town. 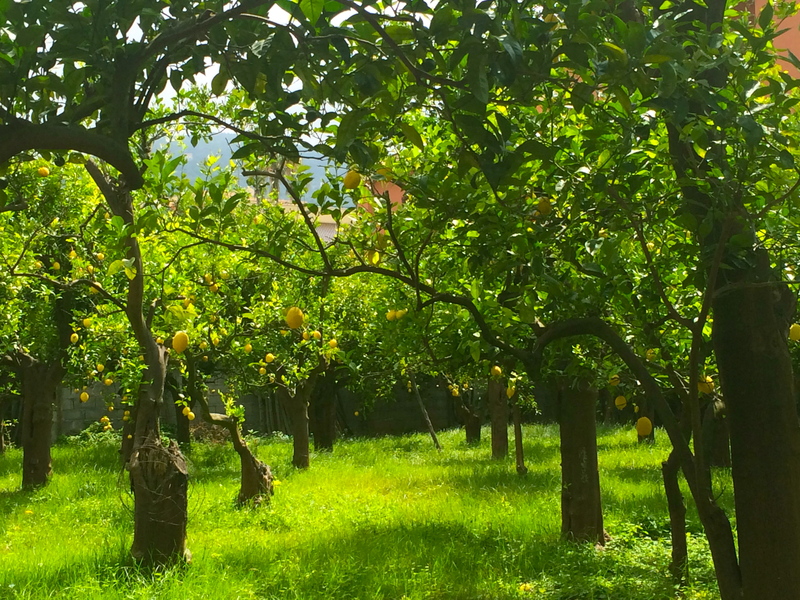 Here you can buy Limoncellos and walk among the trees. The highlight of Sorrento was a visit to Faro Beach on the other side of the town as a recommendation from a friend. It had a nice seafood restaurant overlooking the Italian hip guys and gals sunbathing, swimming and socializing. Close to the sunset, the area on the rocks turned into a sunset DJ party with beautiful summer tunes and cocktails. To top it off, we got to see an amazing Amalfi Coast sunset. 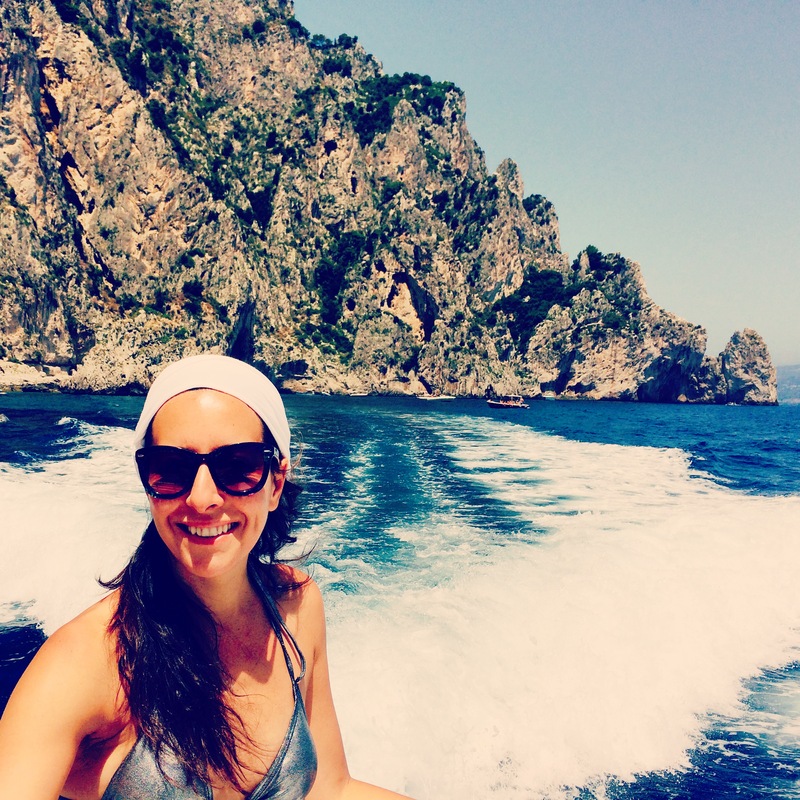 Our next stop was Capri, a beautiful little island in the Bay of Naples. To get here, you’ll need to take a boat. 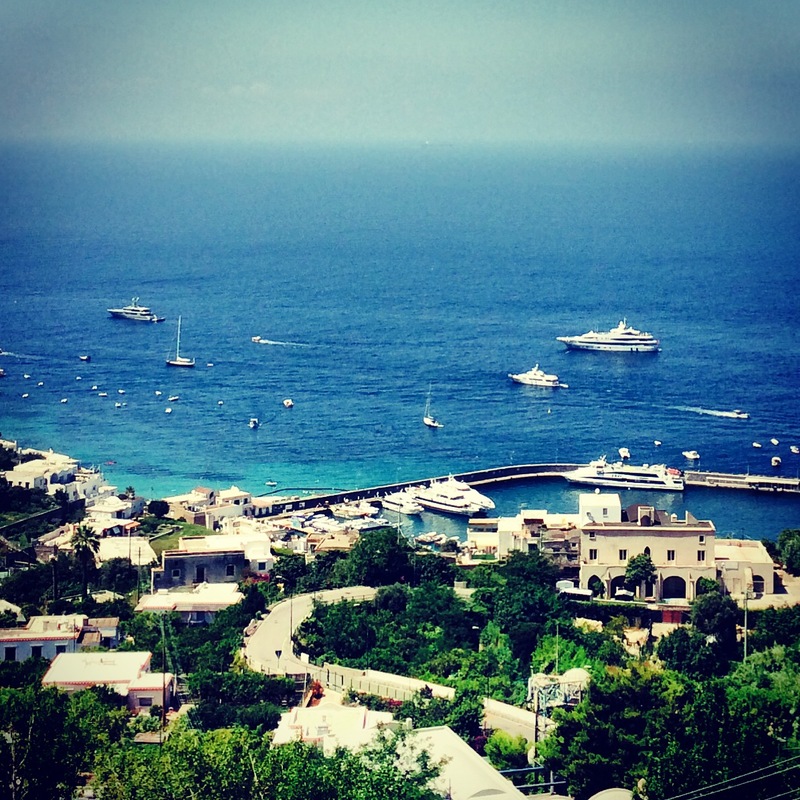 Ferries to Capri depart from Naples and Sorrento. We took a ferry from the dock of Sorrento to our new destination, the most picturesque and visited location on the Amalfi Coast. The name of this island echoed in my head because of reading in the tabloids that George Clooney had a house here and that was also frequented by his best buddies Leo di Caprio, and Brad Pitt. As predicted, this is a popular destination among tourists from all around the world and a summer favorite for the holidaying VIPs. 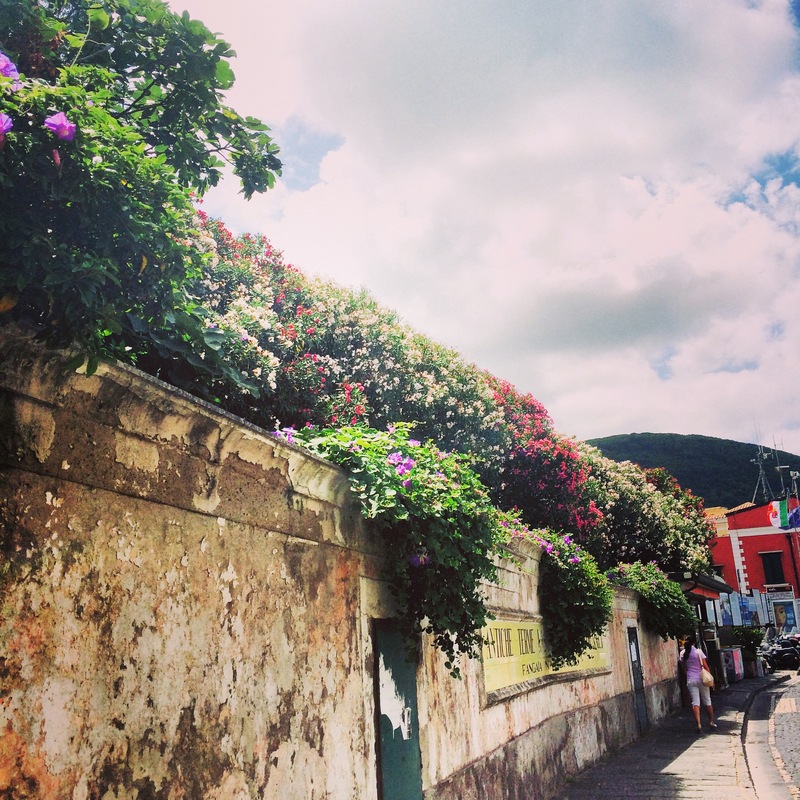 On the island there were two main centers, Capri Town and its uphill rival Anacapri, lots of cool cafes and piazzas, designer boutiques and gorgeous bougainvillea trees spilling over the buildings. The view from the top of Capri where you reach with the Funicular railway, Vomero. I found Capri too touristic and couldn’t gather enough energy to venture its narrow streets. Since we have been to several Italian cities with the same concept, we decided to skip that and go near the water instead. 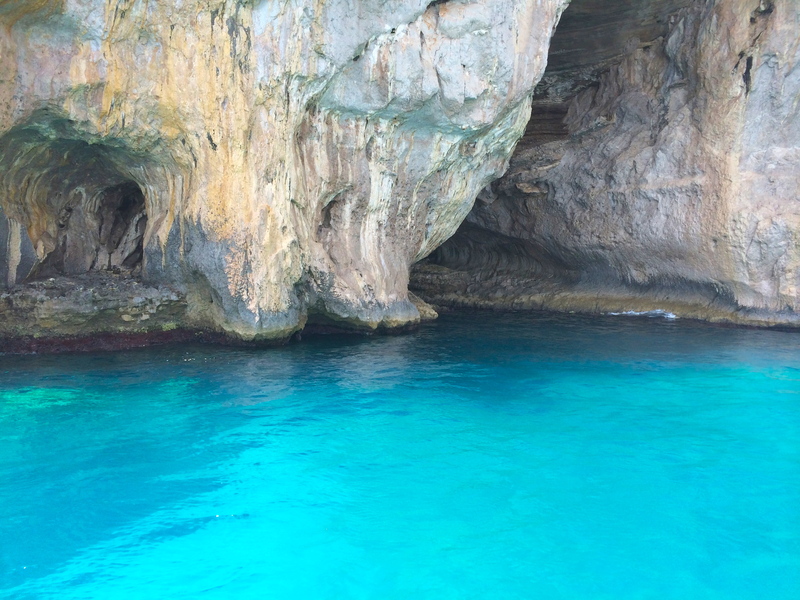 The best thing we did during our stay on the island was the boat trip to Blue Grotto. We had read that the crags and grottoes of Capri had been mesmerizing their visitors since ancient times and many artists and writers had been immortalizing Capri’s beauty and history for centuries. Following the flyers that were handed to us at the pier, we hopped on a wooden boat that took us to Grotto Azzurra, a cave filled with spectacularly blue water. Leaving Capri behind for our grotto tour. 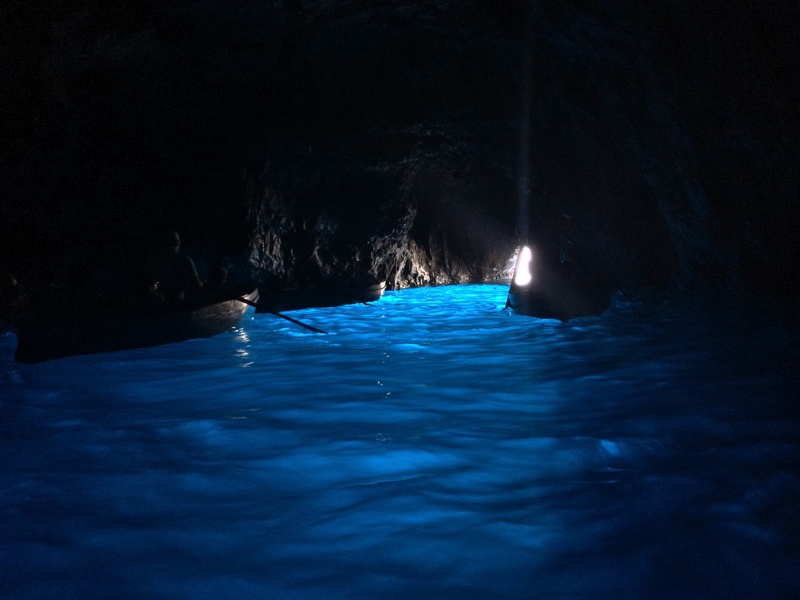 Blue Grotto (Grotta Azzurra) is a sea cave on the coast of the island of Capri. Sunlight, passing through an underwater cavity and shining through the seawater, creates a blue reflection that illuminates the cavern. 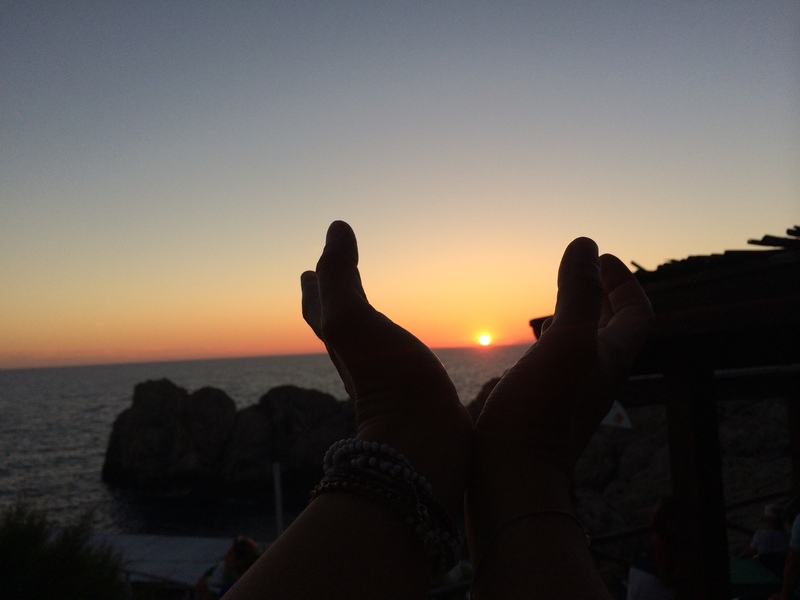 In Capri, we stayed at Stella Maris. The Location was convenient, right outside the tramway and the bus stations. The hotel was small and our room was decorated beautifully in a Mediterranean style. The owners of the hotel, which were a traditional Italian family, were super cute and they hosted us warmly. Ischia is a volcanic island at the northern end of the Gulf of Naples, about 30 kilometers (19 miles) from the city of Naples. I decided to pay a visit to my friend Peppe who told me about his magical island when we’d met in New York several years ago. It was great to get the opportunity to finally make this visit happen! The beaches on this island were better than Capri but for some reason not so many people visited this island except for its spas. We had no complaints about the lack of people especially after the flocks of tourists we’d encountered in Capri and Sorrento. 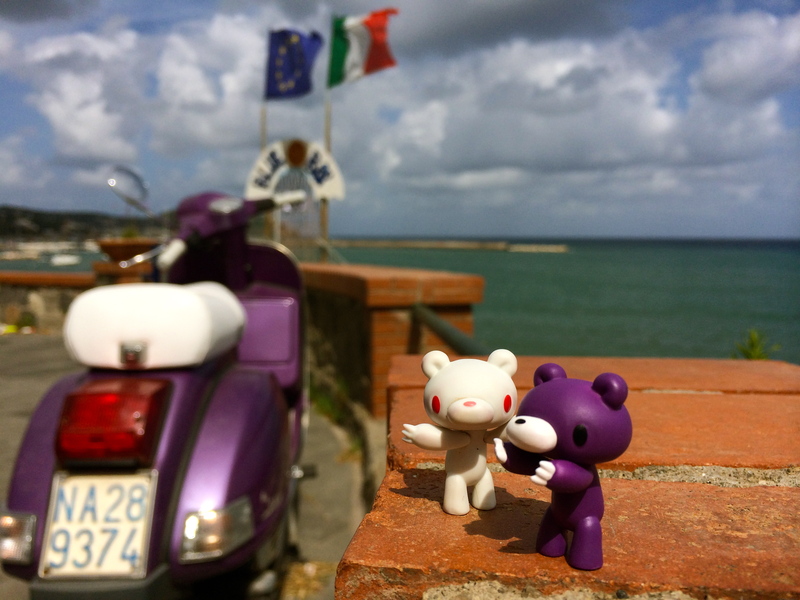 Aslita & Bandito discussing which route to take to get to Casamicciola with their Vespa. 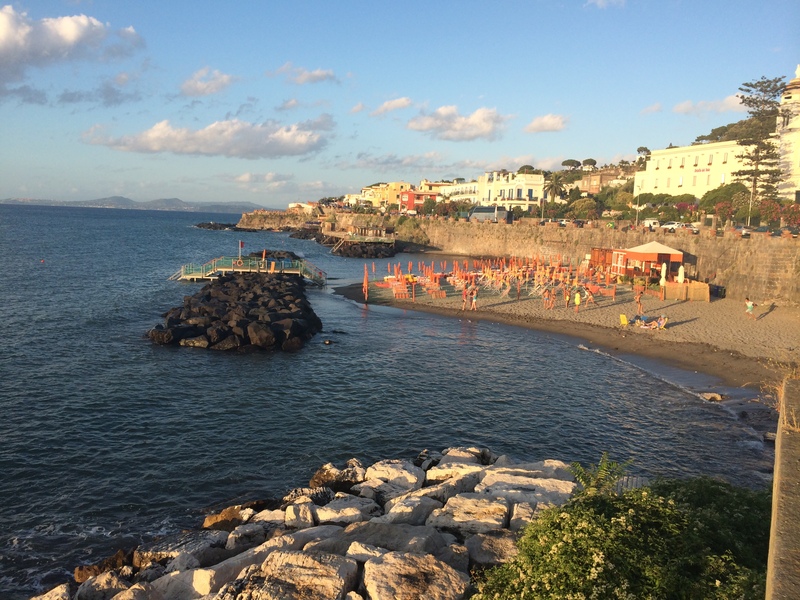 One of the many beaches on the island of Ischia. 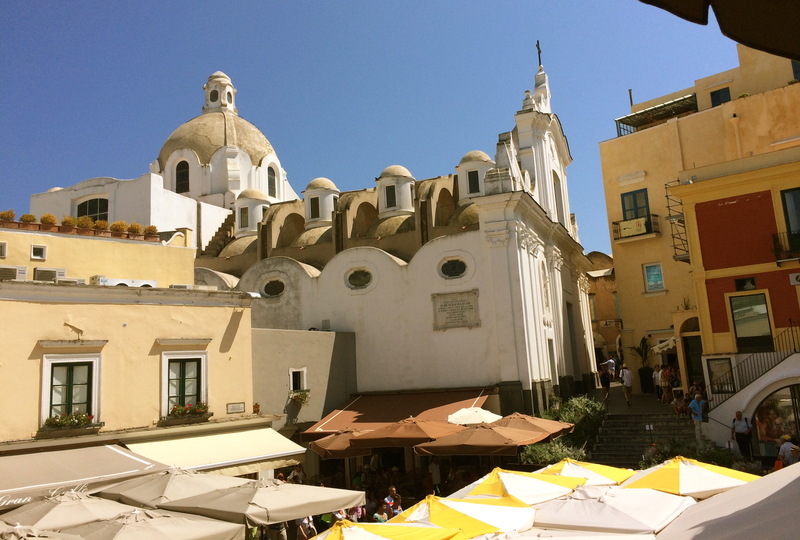 In Ischia, we chose to stay at Hotel Gemma for $40/night for a double room including breakfast and pool. 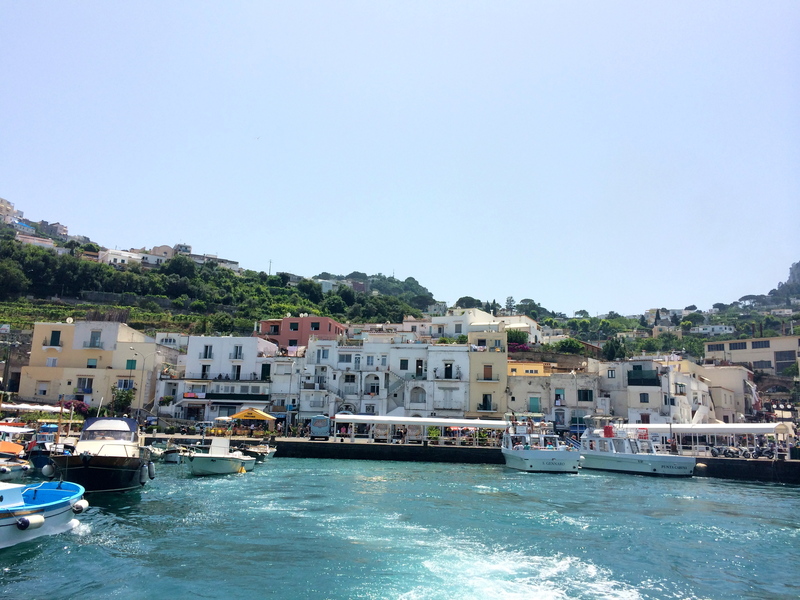 It was a 10 minute bus ride or 5 minute taxi ride away from the Port of Ischia. 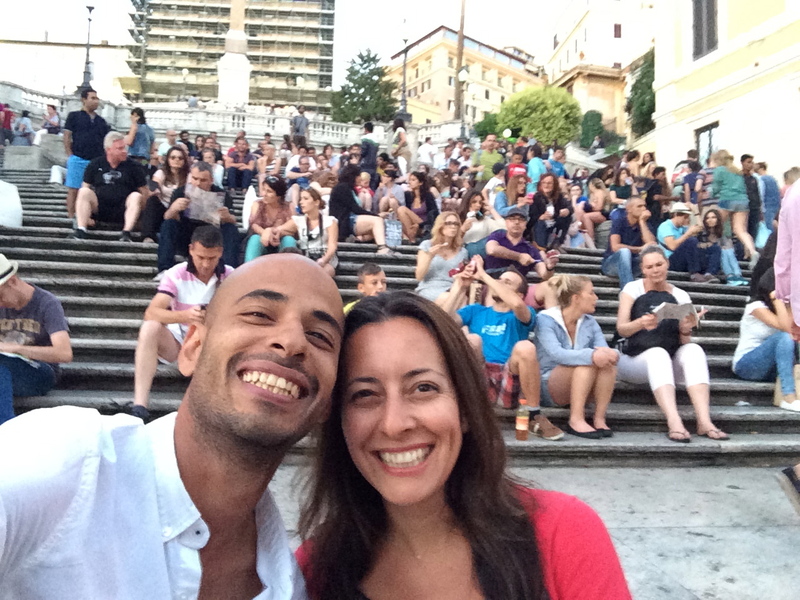 Our next step after Ischia, after a short pizza break in Napoli, was Rome where we’d meet the star of the film to head to the Umbria Film Festival together. Rome is the capital and largest city of Italy. While the modern life is lived to the full, Rome is also the country’s political and religious heartbeat with the presence of the Pope in Vatican. 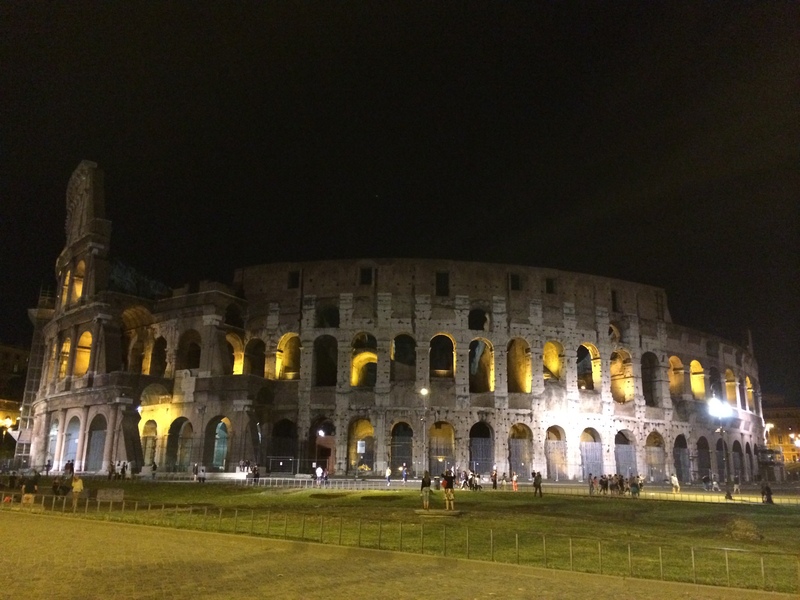 We only had one afternoon and night to spend in Rome and we chose to spend it with eating good food, drinking wine and visiting the glamorous Colosseum. We figured out the modern subway system quickly and traveled between the sites easily and economically. Spanish Steps.. not sure why this place was highly recommended in the guidebooks. Looked like just some over-crowded street steps. Note to self: read the history! Aperetivo is a pre-meal drink whose scope is to stimulate appetite, but it has come to signify the ritual of going out for a drink and nibbling on finger food served free at the bars. We were usually too full to eat dinner after these generous happy hours. 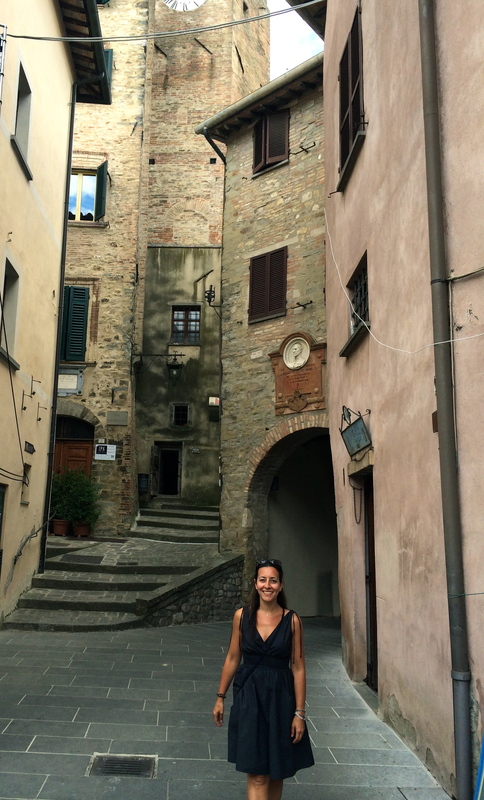 As I mentioned in the beginning of my post, Umbria Film Festival was the main reason for our visit to Italy as my boyfriend was invited to attend the screening of the film he co-directed with his brother Ghazi Albuliwi. 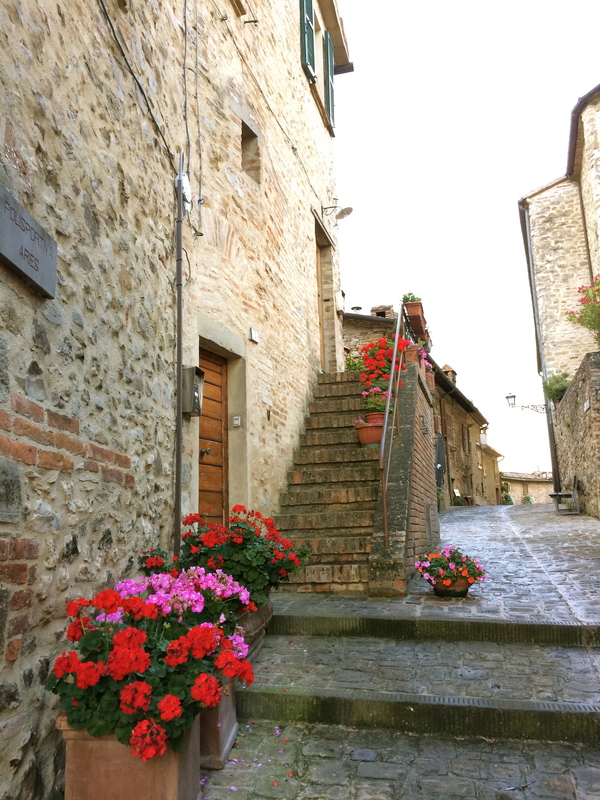 After meeting Ghazi at the Rome airport, we headed to the historic town called Montone in the infamous Tuscany region with our private car provided with a private chauffeur. woot! 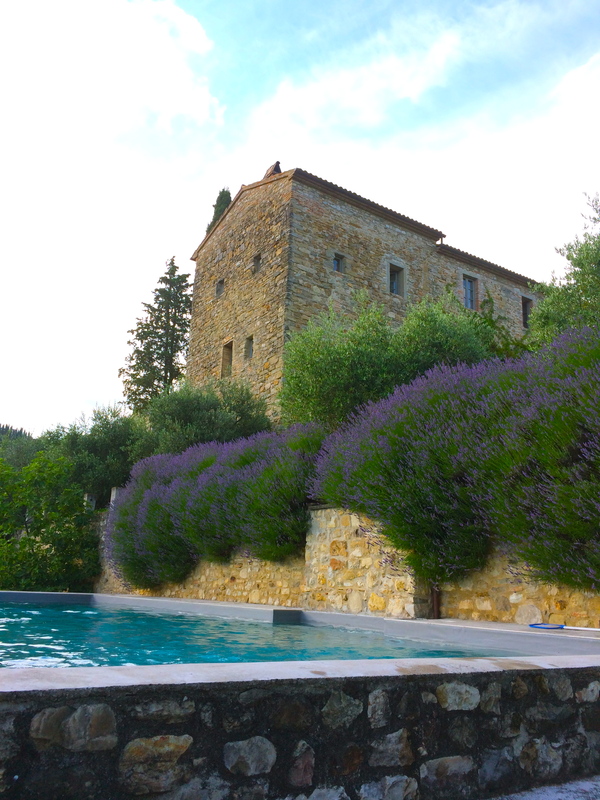 We stayed in a castle, sort of! 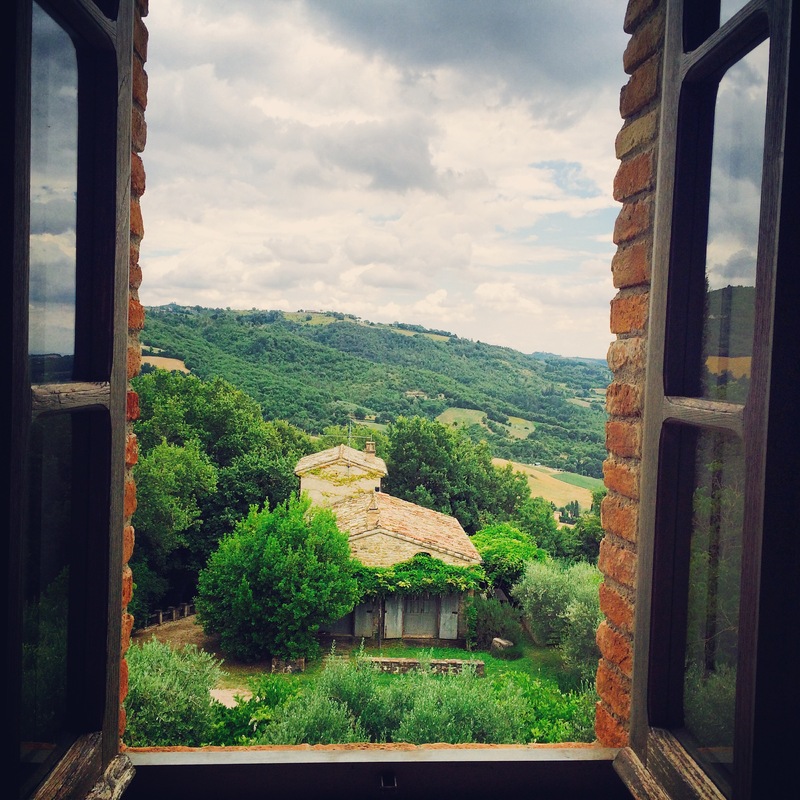 Our trip was too short to see Italy but I had an amazing time! I will definitely be back to continue where I left off. The taste of amazing Italian food, beautiful cities, people and scenery is still in my mouth! 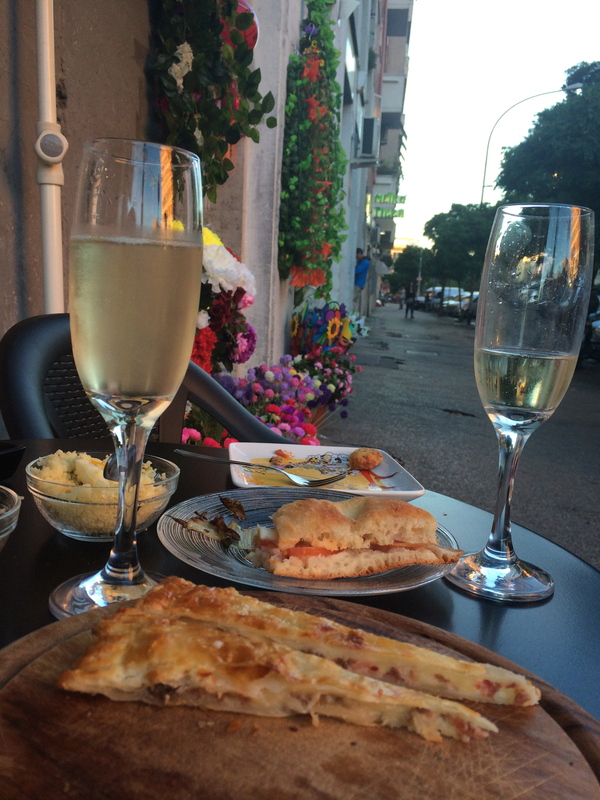 Previous Post Uruguay: My new love affair!